Research has always been at the very heart of the Monark Exercise brand, as well as the notion that physical fitness is the key to personal well-being. The original Monark cycle ergometer was developed in the 1950s, in collaboration with Per-Olof Åstrand, a Swedish professor of physiology, who’s recognized as one of the backbones of the science of exercise physiology in the mid-20th century. Until the early 2000s, Monark Ecercise worked closely with Åstrand. Today, Monark exercise is continuing the Åstrand legacy, not only through research based product development, but also by sponsoring research projects related to physical fitness. Bicycling is a simple work form where the mechanical efficiency is quite alike for different individuals which means that they will get the same energy output at a given load (power). 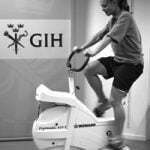 The term “ergometer” comes from Greek word ergon, meaning work, and metron, meaning measure. 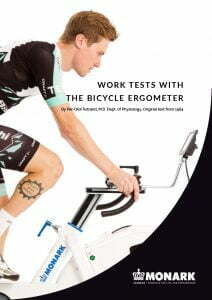 Hence, the meaning of ergometer is literally work measure and in the 1950:s, Dr W von Döbeln developed a method for accurate determination of the break power of the bicycle ergometer, which was published 1954 in the Journal of Applied Physiology. At the same time, P. O. Åstrand and I. Ryhming published their work about how to calculate aerobic capacity submaximally, which now is known as the Åstrand-Ryhming test, or in short; the Åstrand test. P O. Åstrand was also involved in a project, at the Swedish Collage of Physical Education (later the Swedish School of Sport and Health Sciences, GIH) with the aim to teach e.g. gymnastic teachers and athletics leaders the required foundations to inform and instruct in different health questions. One natural element was to instruct how to perform a basic test of the heart function and the physical fitness with the help of a bicycle ergometer. As a result of this project, the bicycle ergometer test was moved out from the traditional laboratory and hospital environments to schools, sports clubs and companies. This opened up a new market for bicycle ergometers as the existing resources of manufactures, at the time, were inadequate. P. O. Åstrand persuaded the Monark Bicycle Factory in Varberg, Sweden to produce a commercial version of the bicycle ergometer to meet the fast increasing market demand for such a product. Over the years, to meet the ever increasing demand from scientists, doctors, patients, elite athletes and hobby athletes, Monark has developed and refined the bicycle ergometer. However, the basic loading principle is still the same, as described by Dr W von Döbeln and used by Professor Åstrand. Today, Monark Exercise develops, manufactures and markets cycle ergometers, treadmills and exercise bikes for hospitals, health care facilities, sports medicine institutions and research laboratories. Since the start together with Professor Åstrand and Swedish School of Sport and Health Sciences, Monark Exercise products have been living proof of precision, reliability, durability, strength and service. We are therefore a world leader in medical training and test equipment and our products are retailed in more than 70 countries worldwide. The Åstrand Test, a cycle test devised by professor Per-Olof Åstrand, a pioneer in modern exercise physiology at the Swedish School of Sport and Health Sciences (GIH) in Stockholm. The objective of the 6-minute submaximal cycle test is to monitor the VO2 max, which is beneficial for athletes as well as for medical rehabilitation as patients do not need to perform at maximum capacity. Based around the same principle and with modern technology, Monark Exercise is one of the leading manufacturers of ergometers for testing and training. The bikes can handle extreme loads and are the obvious choice amongst athletes with tough demands on their training and for researchers in sports medicine. For medical use, the product range is especially beneficial as it can be controlled by different ECG systems.